Despite being one of the ten largest metropolitan areas in the country and a top-five media market, the Philadelphia area was not represented when Major League Soccer kicked off in 1996. The first effort to bring soccer to the Delaware Valley commenced in 2001, when a group of investors attempted to bring an MLS franchise to Trenton, New Jersey. The centerpiece of their efforts was a $31 million soccer-specific stadium to be built across the street from the Sun National Bank Center and with access to the under-construction NJ Transit River Line. "Union FC" was the intended name for the Trenton MLS team if it came to fruition. However, MetroStars (now New York Red Bulls) held the right to block a franchise in Trenton, as it would infringe on their 75-mile competition-free zone. Five years later, plans were in place to construct a 20,000-capacity stadium on the campus of Rowan University in Glassboro, New Jersey. The stadium would serve as the home field for both an MLS expansion club and Rowan's football team. Ultimately, $100 million in state bonds to fund the stadium and various other improvements on the Rowan campus were dropped by New Jersey Governor Jon Corzine. Shortly after the Rowan proposal fell through, Keystone Sports & Entertainment (the group that would eventually own the Union) looked at a site underneath the Commodore Barry Bridge in Chester to develop a soccer-specific stadium. In 2007, the Sons of Ben supporter group formed to raise interest toward a Major League Soccer team in Philadelphia. They are credited with demonstrating to MLS an established fan base in the market. Major League Soccer added Philadelphia as its sixteenth team on February 28, 2008. The finalization of the club was the result of a $47 million package approved by Delaware County politicians and Pennsylvania governor, Ed Rendell, that included the cost of Talen Energy Stadium and a major urban renewal project. In December 2009, the Union added the Reading Rage youth soccer organization as their official minor league affiliate in the USL Premier Development League. As a result, the Rage were rebranded as "Reading United AC" with a new logo and colors for the 2010 PDL season. In the 2010 MLS SuperDraft, the Union selected forward Danny Mwanga from Oregon State University as the number one pick, as well as sixth and seventh picks Amobi Okugo from UCLA and Jack McInerney from the U.S. U-17 National Team in the first round. In March 2010, the Union signed an affiliation agreement with the Harrisburg City Islanders of the United Soccer League. And in January 2012, the Union formed their first international partnership with Deportivo Saprissa of the Costa Rican Primera División. The Union played their inaugural game on March 25, 2010, in which they lost 2–0 to Seattle Sounders FC at Qwest Field. Sébastien Le Toux became the first player to score a goal for Philadelphia in their home opener on April 10, 2010, a 3–2 win over D.C. United at Lincoln Financial Field. The team again played Seattle Sounders FC for the first match at Talen Energy Stadium on June 27, 2010. Le Toux scored the Union's initial goal at the venue from a penalty kick, which was instrumental to their 3–1 victory. All 12,000 season ticket packages for 2010 were sold prior to this opener. At the end of the inaugural season the Union finished 7th in the Eastern Conference and 14th overall in the league with a record of 8–15–7 (W-L-T). The Union picked up three players in the 2011 MLS SuperDraft. Most notably, Zac MacMath, who was the fifth overall draft pick. On January 11, 2011, the Union acquired shirt sponsor Bimbo Bakeries USA. On January 20, Philadelphia introduced two new players: Colombians Faryd Mondragón (GK) and Carlos Valdés (D). Mondragón had recently come from playing with 1. FC Köln in the German Bundesliga, and has at least 50 caps with the Colombian national team. Valdés came from Independiente Santa Fe in the Colombian First Division, where he served as captain before coming to Philadelphia. The Union also signed during the summer transfer window US International Freddy Adu. The team made a complete turnaround in the 2011 season, finishing 3rd in the Eastern Conference and 8th overall in the league with a record of 11–8–15 (W-L-T) scoring 44 goals and allowing 36. This marked the 1st time the Philadelphia Union qualified for the MLS Cup Playoffs. The Union had a stellar start of the season that saw them win 4 and only lost 1 of their first six league games. 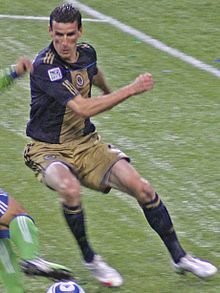 In the 2011 MLS Cup Playoffs the Union lost the first leg of the MLS Eastern Conference semi-finals 2–1 at home on October 30, 2011, with the 1st playoff Union goal coming from Sebastien Le Toux. The Union then lost the 2nd leg 1–0 on November 3, 2011, against the future MLS Cup finalist Houston Dynamo. John Hackworth became the Unions' interim coach on June 13, 2012, receiving the role permanently on August 30, 2012. The Union finished their third season in eighth place in the Eastern Conference and fifteenth in MLS overall, with a record of 10–18–6 (W-L-T), scoring 37 goals and allowing 45. Antoine Hoppenot, who was selected in the third round of the 2012 Supplemental Draft, netted four goals within 817 minutes of play. 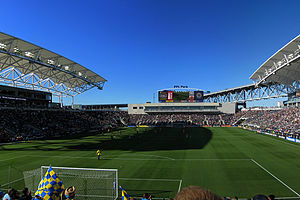 Talen Energy Stadium was the site of the 2012 MLS All-Star Game in which the MLS All-Stars defeated Chelsea F.C., 3–2. The Union also made it to the semifinals of the 2012 Lamar Hunt U.S. Open Cup after defeating the Rochester Rhinos 3–0 in the third round and winning against D.C. United on the road 2–1, after extra time, in the fourth round. They subsequently defeated the Harrisburg City Islanders, their main affiliate at the time, 5–2 in the quarterfinals. The Union traded allocation money in order to take the first overall pick, which was used on goalkeeper and Jamaican international Andre Blake. They then traded down multiple times in order to select Coastal Carolina University midfielder Pedro Ribeiro. Other new, preseason acquisitions included Maurice Edu, French midfielder Vincent Nogueira, Argentinian midfielder Cristian Maidana, and former MLS Rookie of the Year defender Austin Berry. Despite these additions, the Union still languished in mediocrity, winning just two of their first 14 games, posting a record of 2–7–5 (W-L-T). On April 20, 2014, the Union traded forward Jack McInerney to the Montreal Impact for winger Andrew Wenger, a Lancaster, Pennsylvania native. Hackworth's coaching career with the Union ended on June 10, 2014. Although failing to make the playoffs, the Union reached the 2014 Lamar Hunt U.S. Open Cup finals for the first time in the club's history. During the offseason, the club traded for forward C. J. Sapong from Sporting Kansas City. They also traded long time defensive midfielder Amobi Okugo to Orlando City SC. Other new preseason acquisitions included FC Nantes loanee Fernando Aristeguieta, S.L. Benfica loanee Steven Vitória, and free agent Cameroonian 18-year-old midfielder Eric Ayuk. During the 2015 MLS SuperDraft the Union drafted forward Dzenan Catic from Bosnia-Herzegovina, midfielder Eric Bird, and defender Raymond Lee. During the expansion draft, Orlando City SC drafted Philadelphia midfielder Pedro Ribeiro. Despite all the offseason transactions, the Union only registered one win in their first ten league games with a record of 1–6–3 (W-L-T). During the 2015 summer transfer window, the Union traded longtime defender Sheanon Williams to the Houston Dynamo for allocation money, which they used to sign Swiss midfielder Tranquillo Barnetta on July 29, 2015. The club achieved a successful run in the 2015 Lamar Hunt U.S. Open Cup, earning a second consecutive appearance in the Open Cup final. This match took place against Sporting Kansas City, at Talen Energy Stadium on September 30, 2015. On May 11, 2009, the Philadelphia Union's name, crest, and colors were officially announced during a ceremony held at Philadelphia City Hall. "Union" alludes to the union of the Thirteen Colonies, of which Philadelphia was the first capital. The name was chosen following a fan poll held between January 19, 2009 and February 6, 2009; the other three options were AC Philadelphia, SC Philadelphia, and Philadelphia City. The Union's colors are navy blue and gold, representing the primary colors of the Continental Army's uniforms during the American Revolutionary War. The team's crest is circular, symbolizing unity. Its thirteen gold stars represent the original Thirteen Colonies, while the shield's contour derives from the Philadelphia coat of arms. The rattlesnake pays homage to the "Join, or Die" political cartoon by Benjamin Franklin that was featured in the 1754 Pennsylvania Gazette, and is also reminiscent of the Gadsden flag, another Revolutionary icon. The light blue in the middle of the crest is a tribute to the Sons of Ben, and is further derived from the civic flag of Philadelphia. Coincidentally, the navy blue, gold, and light blue colors of the Union are also the predominant colors in the state flags of Pennsylvania, New Jersey, and Delaware. 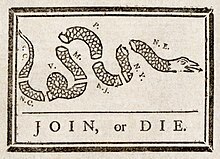 The team's secondary logo is a simplified version of the aforementioned design comprising the blue shield with the rattlesnake, augmented with a gold border and a ribbon bearing the team's official motto: "jungite aut perite", a Latin translation of the phrase "join or die", which was also used in the 1754 Benjamin Franklin political cartoon mentioned above. The Philadelphia Union's name and colors also allude to the state's important role during the Civil War. In February 2013, the team unveiled a third uniform that commemorated Bethlehem Steel F.C., one of the most successful early American soccer clubs. The kit was primarily black with white trim, featuring a sublimated Union emblem, and a Bethlehem Steel F.C. jock tag. The Union play most of their games at Talen Energy Stadium (formerly PPL Park), an 18,500-seat soccer-specific stadium located at the southwesterly corner of the Commodore Barry Bridge (U.S. Route 322). The structure was designed by Rossetti Architects and the ICON Venue Group, with the actual construction contracted to the Ardmore-based T.N. Ward Company. Talen Energy Stadium's design allows clear views of the Delaware River for approximately sixty percent of its spectators, and is the centerpiece of Chester's urban renewal process. The Environmental Protection Agency (EPA) worked with the city of Chester to ensure that construction activities did not impact the nearby parking facility which had been the site of the Wade Dump, a previously polluted Superfund site. The Union train at YSC Sports in Wayne, a community located 17 miles north of Chester. In addition to Talen Energy Stadium, the Union also plays select games at Lincoln Financial Field, the home stadium of the NFL's Philadelphia Eagles and the NCAA's Temple University Owls football team. Prior to the completion of Talen Energy Stadium, the Union played their home opener at Lincoln Financial Field on April 10, 2010 against D.C. United as well as their May 15 match against FC Dallas. Originally just scheduled to play only the home opener at Lincoln Financial Field, the second game was played there due to construction delays at Talen Energy Stadium. Lincoln Financial Field remains the team's secondary home, for matches with anticipated high attendances, such as a friendly against Manchester United, during their 2010 tour of North America. For the home opener, the team limited ticket sales to the lower bowl and club sections, totaling about 37,500 seats. On June 27, the Union officially opened their home with a 3–2 win over Seattle Sounders FC. Lincoln Financial Field also hosts international friendlies involving teams other than the Union; the most recent being Real Madrid against the Scottish Premier League's Celtic FC in August 2012. Celtic FC met with the Union in their first international friendly in July 2010. In 2016, the Philadelphia Union opened a 16,500 square foot training facility and offices built in the former machine shop of the Chester Waterside Station of the Philadelphia Electric Company. The Philadelphia Union opened its own private school called YSC Academy on September 3, 2013. It is located in Wayne, Pennsylvania and is designed for student-athletes the club aims to groom for professional soccer. The initial 33 pupils already had experience playing for one of the Union's academy and Juniors teams. Grassroots support was instrumental to the founding of the Philadelphia Union and the construction of Talen Energy Stadium. This backing came in the form of a supporters group known as the Sons of Ben, which was founded in January 2007. The Sons of Ben petitioned Major League Soccer to expand to the Philadelphia market until the official expansion announcement was made in January 2008. Named for Founding Father and Philadelphia icon, Benjamin Franklin, the group was included in the expansion press conference, singing their anthem, "I'm Looking Over a Four Leaf Clover", and closing the event by presenting scarves to the ownership group. They were also present on May 11, 2009 for the naming ceremony at City Hall. The Philadelphia Union's primary rivals are D.C. United and the New York Red Bulls. These rivalries exist primarily because of geographical proximity and the traditional animosities between the metropolitan areas of Philadelphia, Washington, D.C., and New York City in other professional sports leagues. The Union also have a bit of a rivalry with Seattle Sounders FC despite the 2,377 miles (3,825 km) between Philadelphia and Seattle. The cross-country feud started when the Philadelphia Union played its inaugural MLS game in Seattle. It continued when Talen Energy Stadium's first-ever home game pitted the club against Seattle. The rivalry culminated as they were regularly compared to the 2009 expansion Sounders FC during their inaugural 2010 season as noted by defender Danny Califf, "Last year there was all this measuring of us against Seattle in their inaugural year, so maybe it created a bit more of a rivalry. They're a good team coming in here, and after the start they had they'd really like to take it to us." On January 11, 2011, the Philadelphia Union announced a four-year agreement with Bimbo Bakeries USA to be its official jersey sponsor. The company's U.S. headquarters is located in the Philadelphia suburb of Horsham, thus providing local and global exposure to the team. It was also announced that Bimbo will be the official bread and baked goods partner of both the Union and Major League Soccer, as well as an overall league sponsor. On November 26, 2014, the Union announced the Milton, Delaware-based Dogfish Head Brewery as their official beer sponsor. The deal includes the establishment of a beer garden at Talen Energy Stadium. As of the 2018 season, WPHL-TV and WPVI-TV are the main English-language broadcaster for regionally-televised Union matches, with JP Dellacamera on play-by-play. The broadcasts are produced by WPVI, and part of the package is aired by the station. During the 2012 MLS season, seventeen select home and road matches were broadcast on SportsRadio 610 WIP. The Union also collaborated with WIP on a weekly hour-long soccer show. The Union host a weekly radio show, 90th Minute, broadcast on 610 AM WTEL each Tuesday. For details on former players, see All-time Philadelphia Union roster. This list includes all those who have managed the club since 2010, when the club joined Major League Soccer for the first time, whether coaching on a full-time or interim basis. Games played include all League, Cup, Playoff, and the win percentage is calculated from the total of games. Keystone Sports & Entertainment (S&E) owns the Philadelphia Union and Bethlehem Steel FC. Jay Sugarman, (CEO) of iStar Financial, leads this group including Christopher F. Buccini, Robert Buccini, and David B. Pollin – co-founders of the Buccini/Pollin Group; Joseph J. Greco, chairman of the RevSpring technology company and president of Premier Management Services; and David Seltzer, principal and co-founder of the Mercator financial advisors. Nick Sakiewicz was the former CEO and investor in Keystone S&E until October 3, 2015, when Sugarman purchased his shares in the club and discontinued his involvement. His termination was primarily due to his strained relationship with the Union's fanbase, which blamed Sakiewicz for the team's mediocre record. ^ Hollander, Sophia (September 9, 2001). "Is the Field Getting Too Crowded?". The New York Times. Retrieved February 9, 2012. ^ Lucas K. Murray (June 27, 2010). "Mising the goal: Philadelphia Union's new soccer stadium could have been in Gloucester County". The Gloucester County Times. Retrieved February 9, 2012. ^ Andy Jasner (March 1, 2008). "Sons of Ben rejoice in Philly expansion". MLSNet.com. Archived from the original on December 9, 2008. Retrieved May 12, 2009. ^ "Major hurdle cleared for Philly expansion". MLSnet.com. Archived from the original on February 10, 2008. Retrieved January 31, 2008. ^ "New era for Reading PDL team". Uslsoccer.com. December 21, 2009. Archived from the original on October 6, 2012. Retrieved December 3, 2011. ^ "2010 SuperDraft – Draft Tracker". Major League Soccer. Archived from the original on January 17, 2010. Retrieved January 14, 2010. ^ "Philadelphia Union To Play Harrisburg City Islanders July 27". Daily Times. Retrieved July 7, 2010. ^ "Union form strategic partnership Deportivo Saprissa". January 27, 2012. ^ "The Union go down in their debut". The Philadelphia Inquirer. March 25, 2010. Archived from the original on March 29, 2010. Retrieved March 26, 2010. ^ "Le Toux helps Union hold off D.C. in Philly debut". Major League Soccer. April 10, 2010. Archived from the original on May 4, 2010. Retrieved May 20, 2010. ^ Gabriel, Kerith (May 20, 2010). "Union season-ticket packages are sold out". Philadelphia Daily News. Retrieved May 20, 2010. ^ a b "Club History". Philadelphia Union. ^ "Philly MLS Team Reveals Identity to World". Philadelphia Union. May 11, 2009. Retrieved November 18, 2016. ^ "PHILLY Soccer 2010 Name The Team". January 9, 2009. Retrieved January 29, 2009. ^ "Philly-area soccer team holds vote for team name". USA Today. Associated Press. January 15, 2009. Retrieved May 12, 2009. ^ "Philadelphia Union supporters club". May 11, 2009. Archived from the original on May 16, 2009. Retrieved May 16, 2009. ^ "Philadelphia Union brand narrative". May 11, 2009. Archived from the original on May 15, 2009. Retrieved May 11, 2009. ^ "Jersey Week: Union pay homage to Bethlehem Steel with retro 3rd shirt". MLSsoccer.com. ^ "Philadelphia Union honors Bethlehem Steel soccer club on new jerseys". lehighvalleylive.com. ^ "Bethlehem, PA Patch – Breaking News, Local News, Events, Schools, Weather, Sports and Shopping". Bethlehem, PA Patch. Retrieved August 17, 2017. ^ "Philadelphia Union unveil new third jersey, inspired by Bethlehem Steel". Philly.com. ^ "Todo Sobre Camisetas: Philadelphia Union Adidas Third Jersey 2013". todosobrecamisetas.blogspot.com.ar. ^ "Wade (ABM) Chester, PA". www.cumulis.epa.gov. Retrieved July 2, 2018. ^ Zeitlin, Dave (January 29, 2011). "Union taking a different approach to fitness in preseason". Philadelphiaunion.com. Retrieved December 3, 2011. ^ "A Decisive Victory: Philadelphia Union 3 – Seattle Sounders 1". Retrieved August 17, 2017. ^ "Persistence pays off as Philadelphia Union begin construction on training facility at PPL Park". Retrieved August 18, 2015. ^ "Philadelphia Union Announce Naming Rights Partner for Power Training Complex". www.philadelphiaunion.com. Retrieved August 25, 2017. ^ Philadelphia Union Announce 2016 USL Expansion Team, philadelphiaunion.com, August 18, 2015 . ^ Harrisburg City Islanders and Philadelphia Union Agree to Dissolve Five-Year Exclusive Partnership, cityislanders.com, August 19, 2015 . ^ "Sons of Ben rejoice in Philly expansion". February 29, 2008. Archived from the original on March 2, 2008. Retrieved March 5, 2008. ^ "Philly Soccer Page – The Other Supporters Groups". Phillysoccerpage.net. February 7, 2011. Retrieved December 3, 2011. ^ "La Union Latina Helping Bridge the Gap". February 7, 2013. Retrieved July 24, 2014. ^ Goff, Steven (April 10, 2010). "D.C. United fosters a rivalry with expansion Philadelphia Union". The Washington Post. p. D2. ^ "Distance Philadelphia – Seattle". Distance24.org. ^ "Union vs. Sounders a budding cross-country feud". MLS Soccer. ^ "Baking company signs on as official bread and baked goods sponsor of the Union and MLS". Philadelphia Union. January 11, 2011. Retrieved January 11, 2011. ^ Gammage, Jeff (January 11, 2011). "Union soccer team wins sponsorship from Bimbo bakery". The Philadelphia Inquirer. Retrieved January 11, 2011. ^ "AJC Soccer Insider: Atlanta's MLS team could shatter records", Atlanta Journal-Constitution, August 25, 2014. ^ "Union announce new corporate partnerships with Dogfish Head Brewery, Musselman's and Delaware Express". Philadelphia Union. ^ "Union ink radio deal with SportsRadio 610 WIP". Philadelphia Union Communications. October 20, 2011. Retrieved October 21, 2011. ^ "90th Minute". Retrieved August 19, 2015. ^ "Technical Staff". February 22, 2012. Retrieved August 17, 2017. ^ "Club Ownership". Philadelphia Union.com. Retrieved November 15, 2015. ^ "Sakiewicz ouster by Union shows fan base's clout". philly-archives. Retrieved October 30, 2015. ^ "City of Brotherly Love embraces MLS". FoxSports.com. Retrieved March 1, 2008. ^ "Philadelphia Union Top Scorers". Retrieved October 2, 2016. Wikimedia Commons has media related to Philadelphia Union. Sébastien Le Toux is a retired French footballer who spent the majority of his professional career at Philadelphia Union and last played for D.C. United. The 2009 Lamar Hunt U.S. Open Cup Final was played on September 2, 2009, at Robert F. Kennedy Memorial Stadium in Washington, D.C. The match determined the winner of the 2009 U.S. Open Cup, a tournament open to amateur and professional soccer teams affiliated with the United States Soccer Federation. This was the 96th edition of the oldest competition in United States soccer. The match was won by Seattle Sounders FC, who defeated D.C. United 2–1. Clyde Simms scored D.C. United's only goal. Fredy Montero and Roger Levesque scored Seattle's two goals as the club became the second expansion team in Major League Soccer (MLS) history to win the tournament in their inaugural season. Seattle Sounders FC is an American soccer club founded in 2008, after the city of Seattle was awarded a Major League Soccer (MLS) franchise. The club began playing competitive soccer in the 2009 Major League Soccer season. It plays its home games at CenturyLink Field, competing in the Western Conference of the MLS. 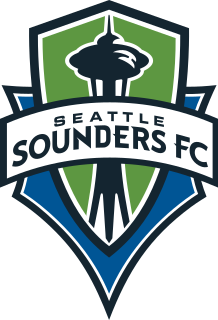 The current Sounders FC is the third soccer team from Seattle to bear the Sounders nickname. The tradition was started by Seattle's North American Soccer League team in 1974, and continued by the city's United Soccer Leagues side, formed in 1994. The current Sounders FC is an entity distinct to both of these clubs, and played its first MLS game on March 19, 2009, against the New York Red Bulls. Talen Energy Stadium is an American soccer-specific stadium located in Chester, Pennsylvania and is home to the Philadelphia Union of Major League Soccer. The project is the result of combined commitments of $30 million from Delaware County and $47 million from the Commonwealth of Pennsylvania. Talen Energy is the stadium's naming rights sponsor.